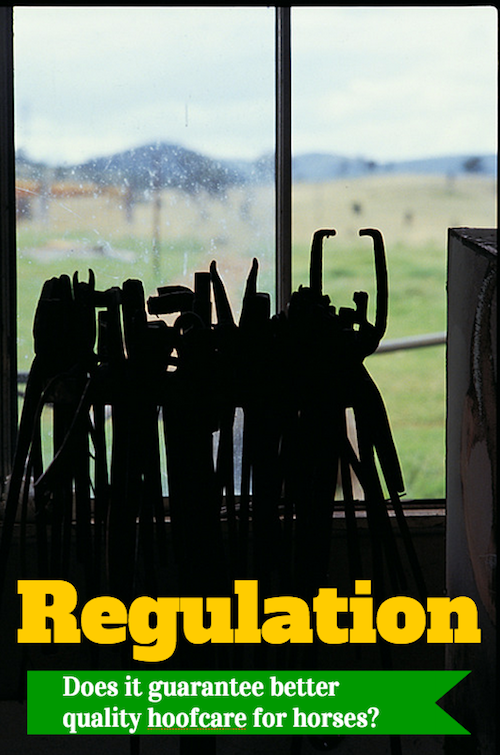 Bruce Daniels died today, just before noon, the American Farrier's Association tell us. 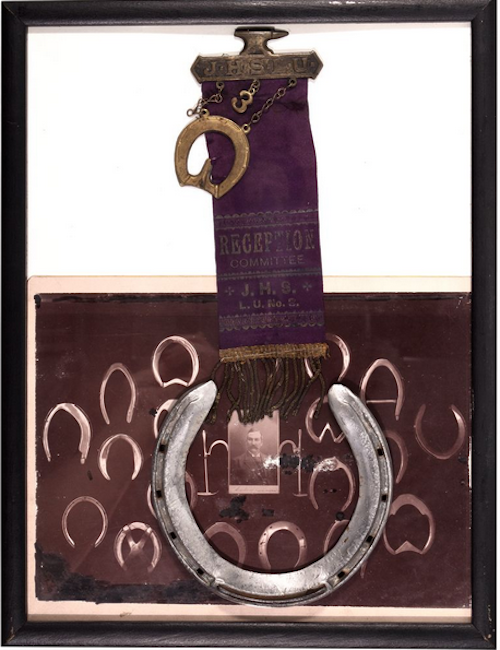 The icon of American horseshoeing of the late 20th century had suffered several aortic aneurysms and what his son Tad called "multiple strokes". He still made it to his daughter Cary's house in Florida for Christmas, though. Just try and stop him. The farrier world will be a little less colorful now. 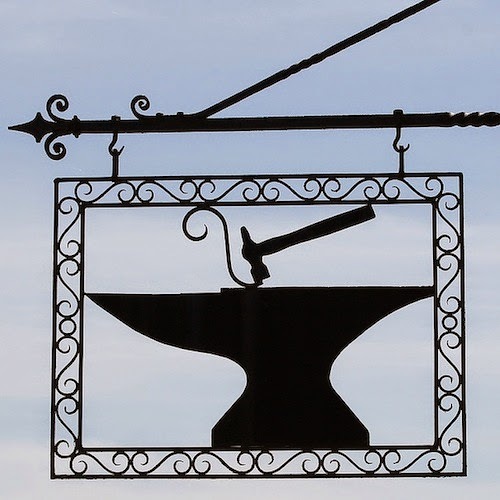 His stories will be retold forevermore but who's left who remembers the world he lived in, back before the American Farrier's Association civilized horseshoers, as he used to say? Bruce lived for many years in Mullica Hill, New Jersey. One hundred acres of his property has been made into a conservation preserve by the township. It is now know as "Daniels Woods" or the "Daniels Preserve". It might be a good place to go for a walk sometime. I knew for the past week or so this might happen, and didn't know then any more than I know now what should be written about Bruce. I tend to think this is a moment like that great song, "Bye, Bye Miss American Pie". I never really understood it, except that it was written about moments like when Buddy Holly was killed in a plane crash, and similar unforgettably tragic days when American innocence and "the music" died. 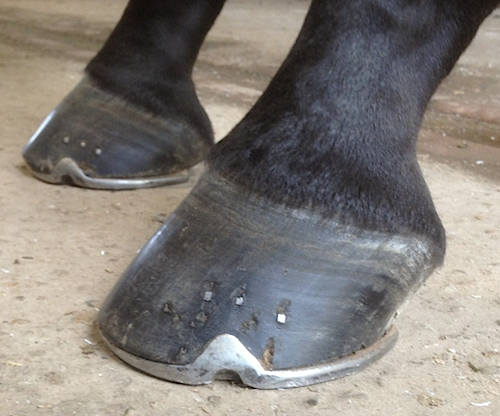 Was today the day that good old-fashioned American horseshoeing died, once and for all? 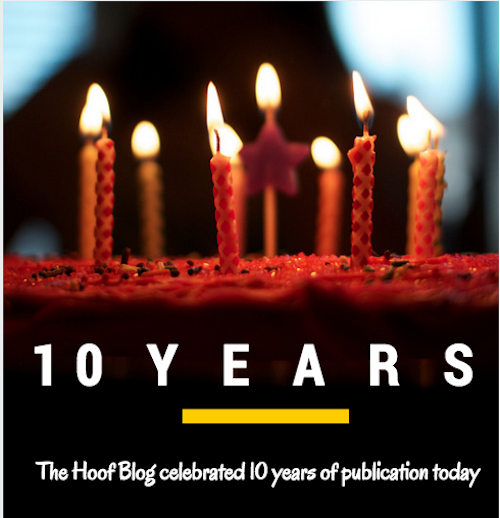 In an interview in 1995, Bruce told a reporter, "Determination, strength with gentleness, artistic talent and tolerance for discomfort, even some pain, are the qualities of a successful horseshoer." 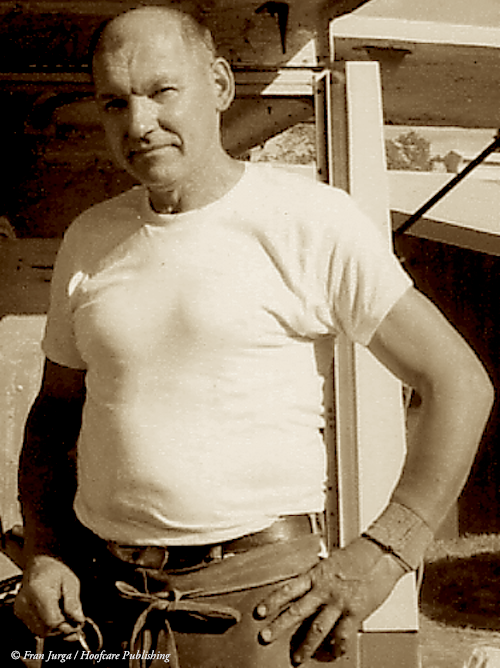 Bruce Daniels was one of the first farriers I met when I took on the job of editing the fledgling American Farriers Journal when it was bought by a Massachusetts publisher. It was in the airport in Albuquerque, New Mexico. 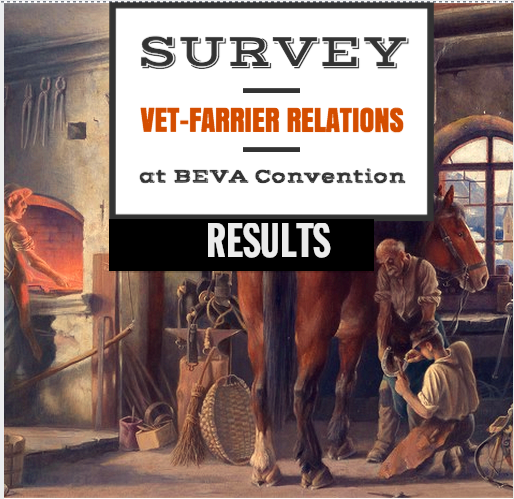 We had all arrived to attend the American Farrier's Association Convention; I knew Bruce was the vice-president of the AFA, and that he planned to win the competition. I had just edited one of his articles for the Journal and been advised by founder Henry Heymering, "Just don't edit him." That sort of thing sticks in your mind. And there he was. I timidly introduced myself to him, amidst a crowd of horseshoers who were all trying to shake his hand or slap him on the back or tell him a joke, all at once. He was chewing tobacco. The baggage carousel revolved behind him. He squinted down at me and muttered, "Oh, yeah, the new girl." He gathered up his luggage. "Where's my tool box?" he growled. Something that looked vaguely like a munitions vault lay on the floor near my feet. "Hey, Fran, grab that tool box and come along," he directed. "We've got a cab." I leaned down and grabbed the handle on the top of the box. I almost fell down trying to lift it. It was like a 100-pound dead weight. Bruce (and all the farriers and, it seemed, everyone in the airport) roared with laughter as I attempted to half-carry, half-drag it behind him. "Welcome to the horseshoeing world, babe," he chuckled as he turned and picked it up easily; I followed him meekly to the cab, wondering what I had gotten myself into. And did he just call me "babe"? I always used to joke that Bruce didn't teach me how to shoe horses, he taught me how to tell stories about shoeing horses. He very definitely understood the value of doing both well. 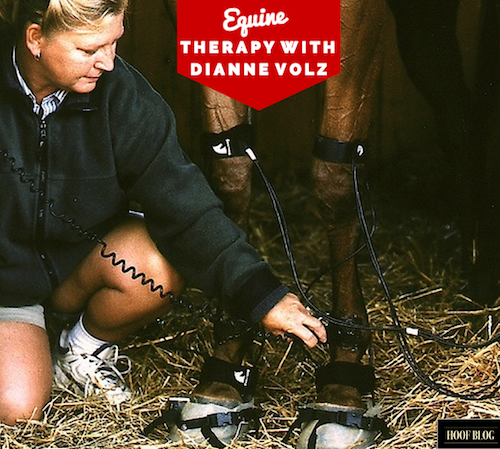 Possibly no one did it better--shoe a horse or turn the shoeing of a horse into a story to share afterwards. I took this picture of him one day in the mid to late 1980s. It's my favorite memory of him. Bruce and his friend, the late, great Bob Skradzio wanted to create a tableau vivant of Norman Rockwell's famous painting of a marathon horseshoeing competition in Vermont. They didn't just want to pose for me to take the photos so it looked like Rockwell's scene, though. Oh no, not Bruce and Bob...they actually researched and then held the one-on-one competition, making the exact shoes described in Edward W. O'Brien's short story, "Blacksmith's Boy Heel and Toe" that accompanied the illustration in the Saturday Evening Post, way back on November 2, 1940. It really was a contest. Both of them wanted to win. No one could believe they'd gone to so much trouble, and made it so realistic. But then nothing less would do. It never would, for Bruce Daniels. And if he taught us anything, it wasn't horseshoes or anvils or even storytelling. 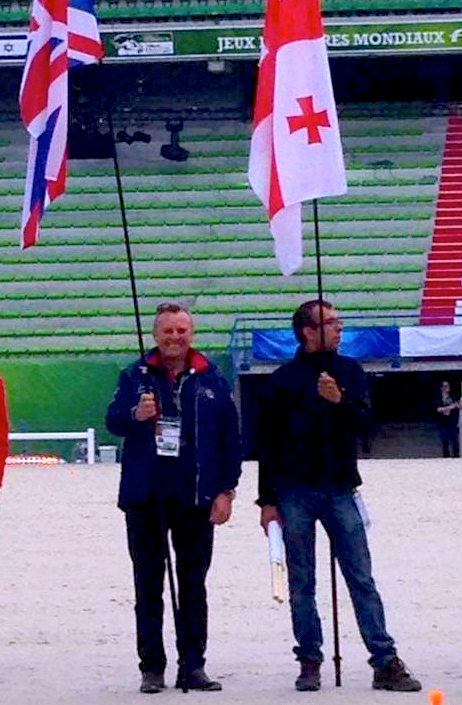 It was that he showed us the mindset of total focus, of doing something right, if you're going to do it at all. Click here to read a good article written in 1995 about Bruce from a Philadelphia newspaper. I just stared at in disbelief. It was beautiful. It looked accurate. And it depicted something that, to the best of my knowledge, had never been painted before. 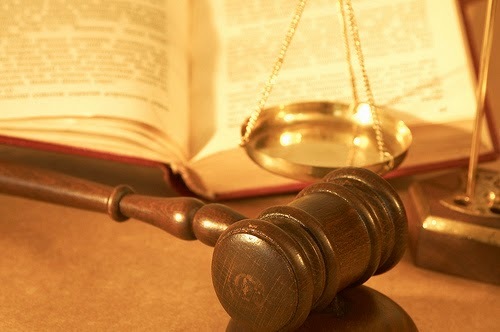 And if it has been painted before, it was never painted so carefully and so artistically. Even the details of the forge wagon look correct. Donkeys figure quite prominently in the original Christmas story, so why not have one star on the Hoof Blog on Christmas Eve? 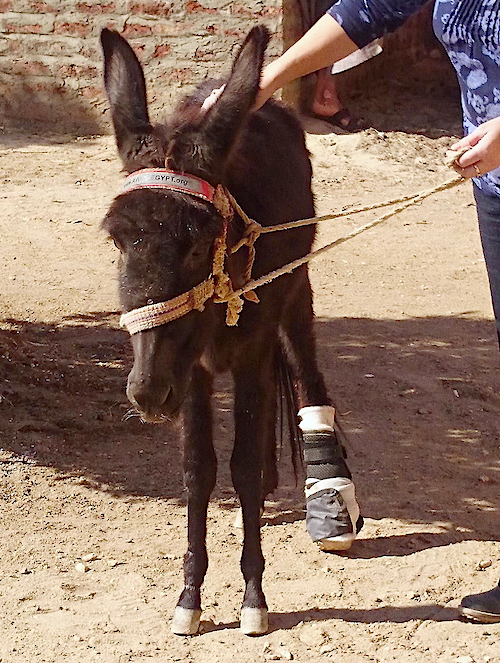 Hector the Egyptian donkey is making news around the world this Christmas, and bringing smiles to faces wherever his story is told or read. 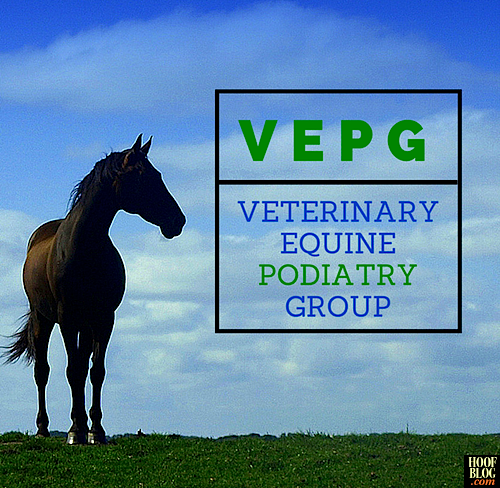 At the 60th Annual Convention of the American Association of Equine Practitioners (AAEP), held December 5 to 9, 2014 in Salt Lake City, Utah, the Veterinary Equine Podiatry Group, Inc. publicly announced its existence and intended mission. 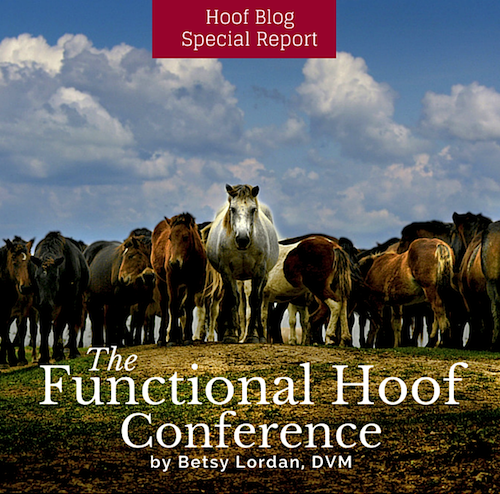 The second Functional Hoof Conference was held during Melbourne Cup Week (November 6-9, 2014) in Daylesford, Victoria, Australia. 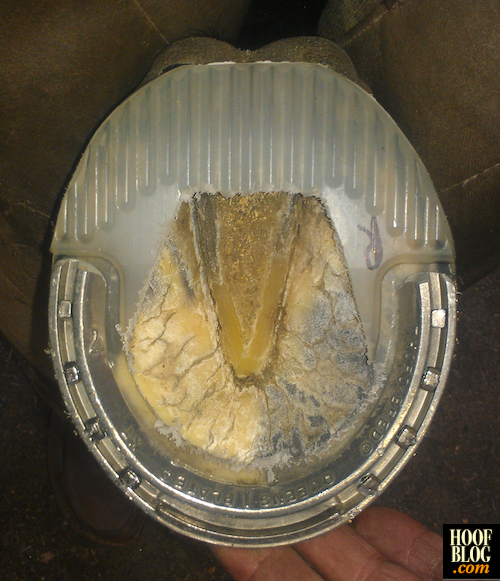 The clinic was hosted by a group of hoof care professionals seeking to improve knowledge and understanding of the equine foot and to spark discussions. 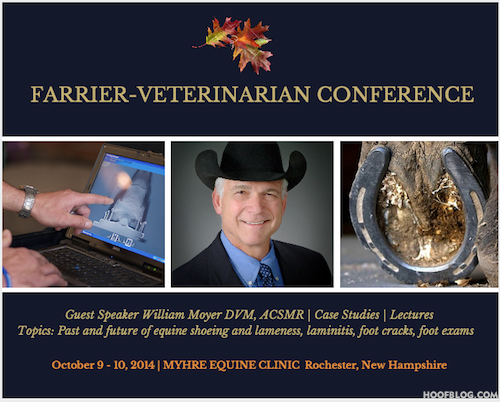 To this end, they brought together a selection of international speakers who were experts in equine pathology, biomechanics, lameness and laminitis. 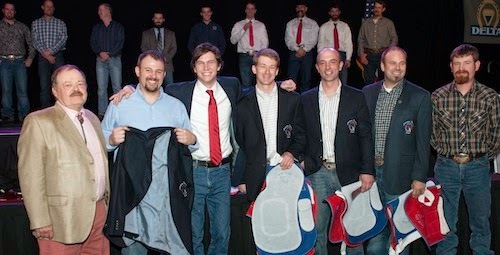 The audience included vets, farriers and barefoot trimmers from Australia, New Zealand, Europe and the United States. 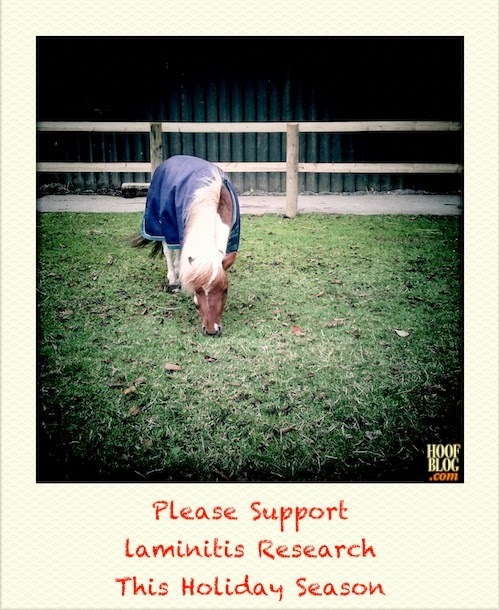 Hoofcare Publishing is encouraging donations to laminitis research this holiday season. Right on cue, this press release arrived today with news of new support for program research in Great Britain. 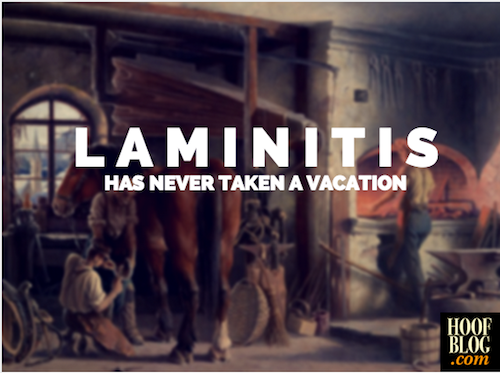 Thanks for Spillers for their continued support of laminitis research. 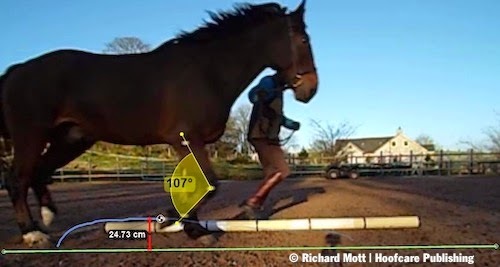 The British horse feed company SPILLERS®, as part of the WALTHAM® International Laminitis and Obesity Research Consortia, is continuing to support important research on laminitis and obesity, with its involvement in two new PhD programs in 2015. 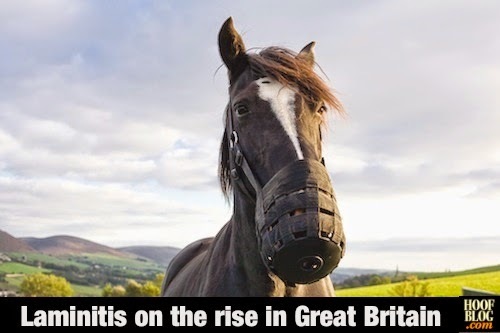 A government survey of British veterinarians is taking no prisoners and leaving no stones unturned. 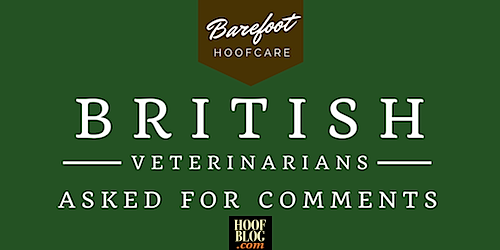 While the clear goal of the newly-launched Department for Environment, Food and Rural Affairs ("Defra") online survey is to collect veterinarians' comments on what they have seen and thought about barefoot hoofcare practices in the field, it's obvious that farriers are under this microscope as well. No one has ever said it in quite such succinct words, or asked from so many angles, however. 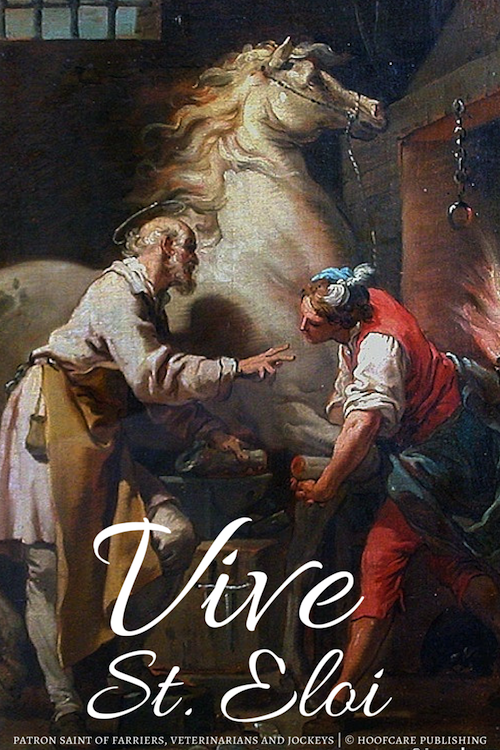 It's the first week in December, time to toast all those French farriers and veterinarians and jockeys who are taking the day off (Monday or Wednesday, depending on your preference) in honor of their patron saint. But we have something else to toast this St Eloi's Day. Call it an idea whose time came round at last, or call it the influence of Hollywood or the charm of George Clooney and Matt Damon. Whatever you call it, it makes a great blog story. Because you couldn't make this kind of thing up. Truth really is stranger than fiction sometimes. 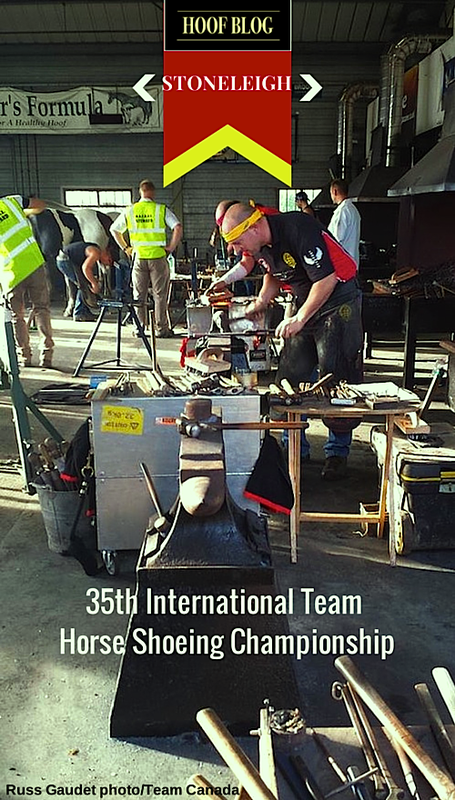 Congratulations to the six-man farrier team shoeing the Thoroughbred racehorses of top trainer Richard Hannon in Wiltshire, England. 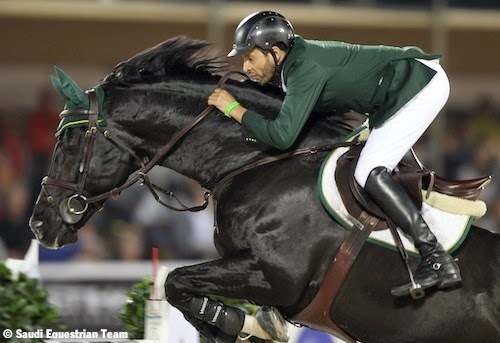 The shoers have yet again won the Victory Magnum and no doubt sent Atlantic Equine’s champagne bill into orbit! Notice that the magnums bear special Victory Racing Plate theme labels, and each bottle has the name and silks of a different stakes-winning horse from Hannon’s yard on the label. 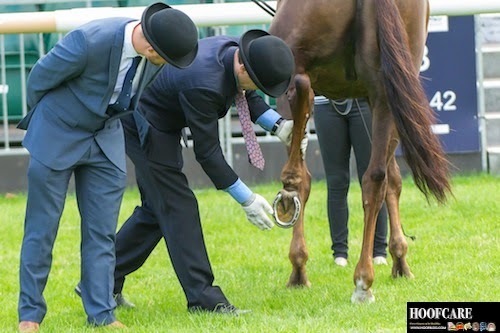 Farriers working for top British racehorse trainer Richard Hannon, Jr. have won Europe's Victory Magnum Prize for an unprecedented fifth time in succession. 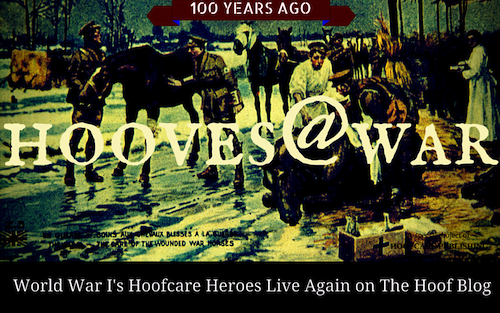 Hooves@War: Did the Paths of This Vet and Farrier Cross in World War I? It was called simply "Mons". The war was supposed to be a quick route for the British troops. They left in summer and boasted that they'd be home in time for Christmas. Except it didn't quite work out that way. It turned into a "world war". The war to end all wars. 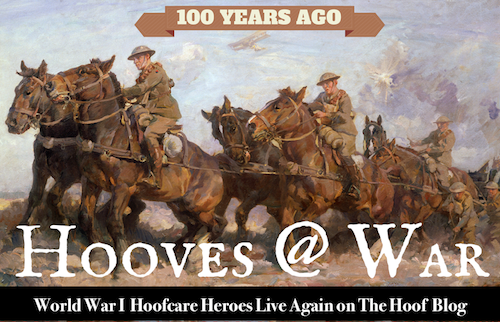 The Hoof Blog found two names--one a vet and one a farrier--who had their hands on the horses at that first faceoff at Mons. 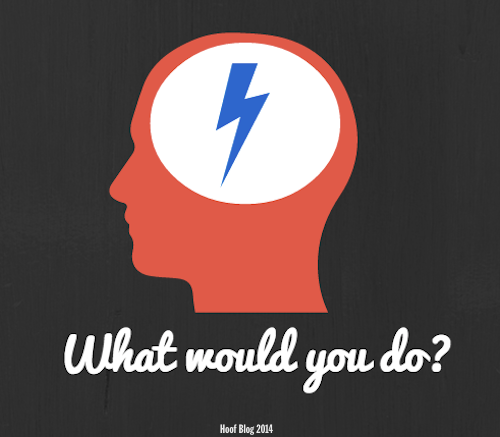 Today's story tells what happened to them there. 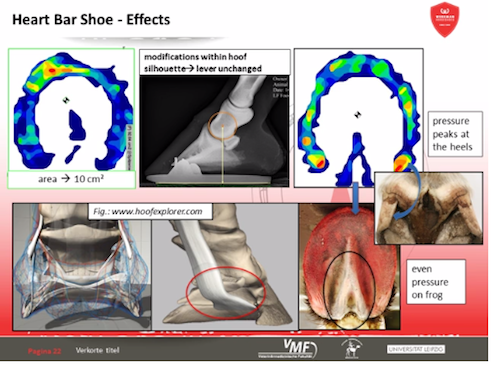 The Hoof Explorer anatomy toolbox website is at it again. 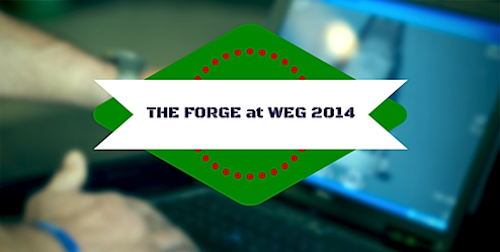 Be sure to bookmark this little video clip to add to your next PowerPoint presentation. But then sit back and enjoy it. And stop thinking so hard. 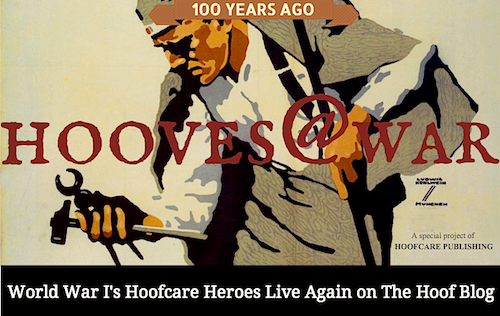 Once again, many trips to the library and late nights on the Internet yield evidence that ingenious and impromptu hoofcare--or perhaps untimely hoof problems--may have changed the course of history. One of the most remarkable documents of American literature isn't anything like a Mark Twain novel or a Walt Whitman poem or an Arthur Miller play. It's the real thing, a day-by-day account of one of the bravest and most extraordinary undertakings in the young USA: Meriwether Lewis and William Clark's river and overland expedition to explore the west and see what was at the headwaters of the Missouri River--and beyond. And it was recorded in a journal covered in elkskin. The journal survives today. Buried in the pages are beautiful drawings of fish, birds and antelope that had never been seen east of the Mississippi. 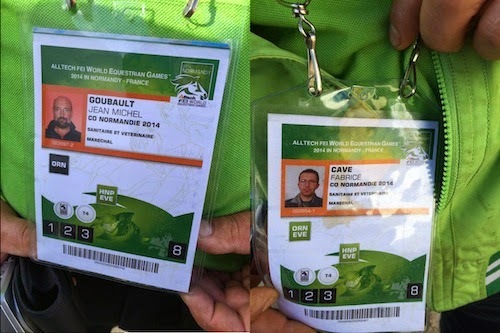 But if you can read the script, it's also a heck of a horse story. 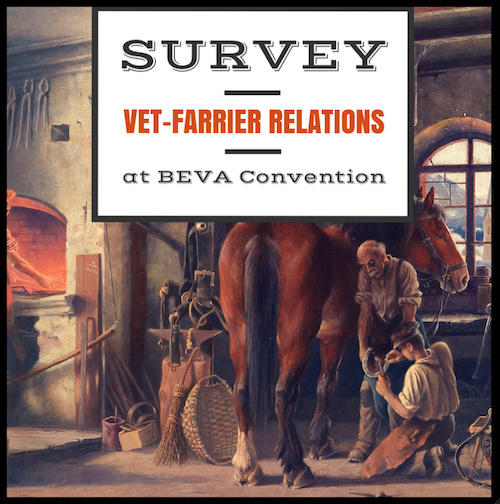 That was the question at the British Equine Veterinary Association (BEVA) Congress Farriery Day earlier this fall in Birmingham, England. 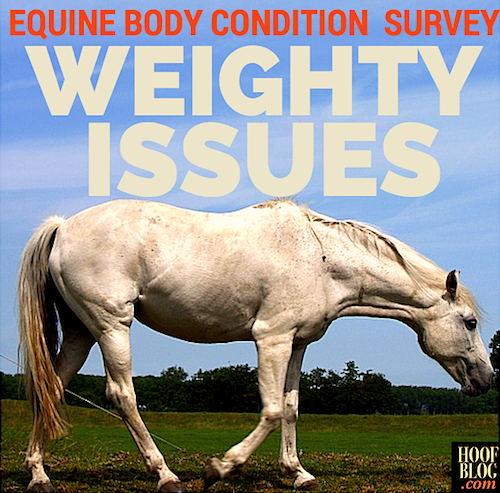 One thing that came out of this day long poking and prodding of contemporary farriery was that you might think a bit before answering that question the next time someone poses it. 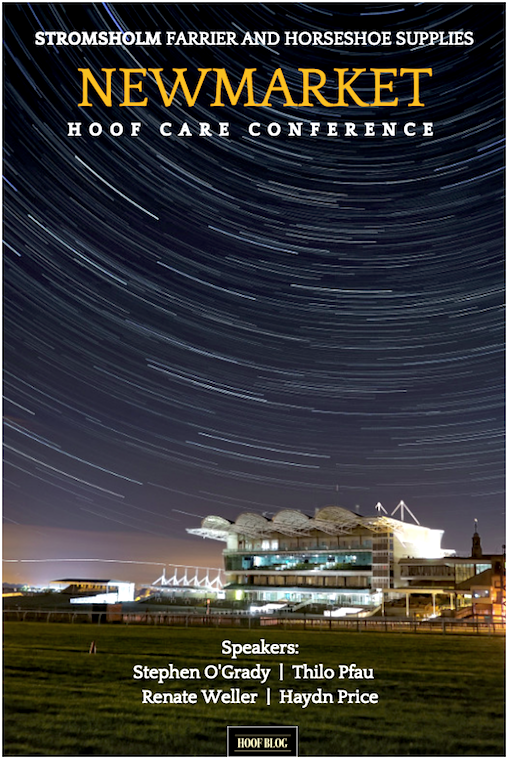 Stromsholm, a leading British hoof care products supplier, will host the Newmarket Hoof Care Conference on November 17, 2014 in the Millennium Suite at Newmarket Racecourse in Newmarket, England. Attendance is by advanced reservation only. Please call 01908 233909 to request a reservation. 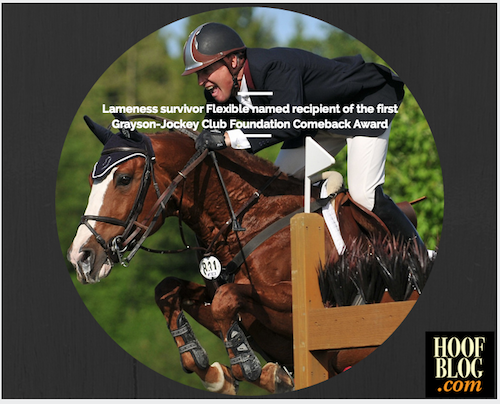 Breeders Cup Classic: Will It Be a Battle of the Specialist Horseshoes? Will it be 3/4 shoes by a head? Nailed on glue-ons by three lengths? Or tabbed glue-on shoes in an exciting photo finish?